BITCOIN is certainly the giant of the cryptocurrency world with a staggeringly high market cap and a price of more than $8,000 per one BTC token. But how much exactly is one Bitcoin worth compared to US dollar so far today – BTC v USD? Bitcoin is the world’s leading cryptocurrency and helped paved the way for smaller tokens on the digital market. The virtual currency was created in 2009 by an anonymous computer genius, who uses the alia Satoshi Nakamoto. Bitcoins are created using a complex computer code and there is a finite supply – albeit with a 16 million circulating supply. The value of Bitcoin, like all currencies, is determined by how much people are willing to exchange it for. But BTC often sends shockwaves through the financial markets as the volatile token’s price is more up and down than a rollercoaster. How much is one Bitcoin worth compared to US dollar today? As of 10.30am on March 20, bitcoin is back in the green after a week of staggering losses. The BTC token price is currently at $8,500, according to trading comparison website CoinMarketCap.com. The coin is some 2.7 percent up on trading this morning and has a market cap of $143,893,658,697. In the last seven days alone, bitcoin has shed hundreds of dollars worth off its price. At 10am on March 13, the price was worth the equivalent of $9,373. But this fell the $7,423 at 5pm on March 18 as a weekend of sell-offs began. However at 10am on March 20, 2017 – a whole year ago – the price was a shocking low of just $1,041 so bitcoin has cleauge climbs in the space of 12 months. 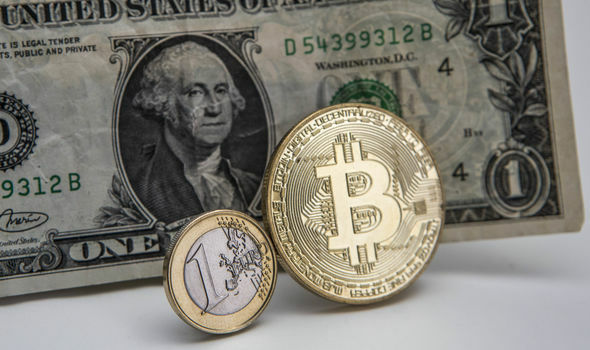 The price rise and fall this last week comes after the Financial Stability Board, a global watchdog that runs regulation for G20 economies, responded to calls to crack down on digital currencies. after days of losses, according to Bart Stephens, co-founder and managing partner at Blockchain Capital.